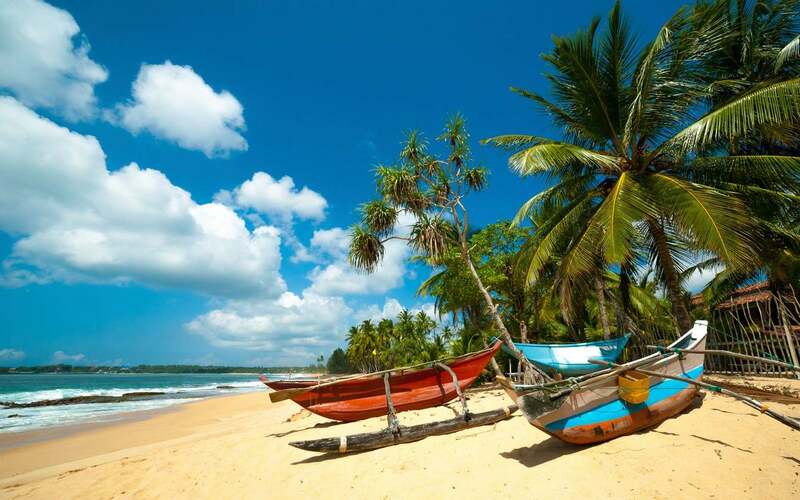 This Sri Lanka and Maldives tour offers 10-days of exceptional cultural adventures and beautiful landscapes before ending on a silky white beach, surrounded by turquoise waters. Begin your journey in Sri Lanka where you will discover the country’s rich heritage on an assortment of privately guided tours. Explore Sigiriya’s beautiful Dambulla Cave Temple, the ancient city of Polonnaruwa and the spectacular Sigiriya Rock Fortress. Afterwards, you will discover the Temple of the Tooth and Royal Botanical Gardens, in Kandy, before venturing to Colombo for a heart-warming excursion to the Elephant Orphanage at Pinnawela. Your adventure culminates in an indulgent stay at the Coco Island Resort, in the Maldives, where you will explore this idyllic location’s wonderful house reef, tuck into sensational menus and unwind with an assortment of spa treatments - the perfect end to this incredible holiday. This tour has been carefully designed to give you a taste of the exciting, endless possibilities of Sri Lanka and the Maldives. It can be tailored to suit your exact preferences. Upon arrival at the Bandaranaike International airport, you will be warmly welcomed by a representative who will drive you to the Horathapola Estate. Upon arrival, you will spend the day relaxing and enjoying the hotel facilities. Horathapola Estate lies hidden in the beautifully lush landscapes of rural Sri Lanka. Its grand plantation bungalow dates from the early 1900s. It has been beautifully restored to host five spacious luxury guestrooms. Horathapola Estate is a fully functioning organic coconut estate of roughly 50 acres. It sustains the livelihoods of about 30 families living in the neighbouring village. Spend one night at Horathapola Estate. Accommodation is in a Standard Room with ensuite facilities. Your stay is on bed and breakfast basis. After tucking into a scrumptious breakfast you will be driven to Sigiriya, the cultural triangle of Sri Lanka, which is home to many historical vestiges. During the course of your drive you will have the opportunity to explore the beautiful Dambulla Cave Temple, the largest cave monastery in the country, with a history that dates back to the 1st century BC. The Dambulla Caves host various historical statues and paintings, which have been repaired and repainted over the centuries. The network of caves once provided refuge to King Valagamba during his 14 year exile from the Anuradhapura Kingdom. Here, the King was afforded protection from his enemies by the Buddhist monks meditating in the caves. When King Valagamba returned to the throne at Anuradhapura, in the 1st century BC, he had a magnificent rock temple built at Dambulla to showcase his gratitude to the monks there. Spend two nights at Jetwing Vil Uyana. Accommodation is in a Paddy / Marsh Dwelling with ensuite facilities. Your stay is on bed and breakfast basis. Today, you will visit the ancient city of Polonnaruwa, the historical heart of Sri Lanka. This important royal capital, with its well-preserved 12th century ruins and impressive stone culture, recalls an inspired past. Although, nearly 1 000 years old, Polonnaruwa is much younger than Anuradhapura and in better repair. In the afternoon you will have the opportunity to visit the spectacular Sigiriya Rock Fortress, with its rocky abode and water gardens. Sigiriya is famous for its toadstool of golden-hued granite, protruding into the searing blue sky from a hot, flat wilderness of scrubland, which is transformed in the rainy season to a water garden. In the 5th century, King Kashyapa domesticated the “Lions Rock” by building a palace atop its summit. Sigiriya commemorates some of the turbulence of Sri Lanka’s history. In the evening, you will be able to relax and unwind from your adventure-filled day at the hotel’s sparkling poolside, taking in the splendid views of the Fortress nearby. Alternatively, enjoy a tranquil walk to explore a nearby traditional. After a wholesome breakfast, you will be driven to the beautiful region of Kandy, where you will check into the charming Kandy House. Spend the day relaxing at the hotel or exploring its surrounds before embarking on a late afternoon excursion to the Temple of the Tooth. This is said to be the resting place of the country's most precious Buddhist relic, a sacred tooth of Buddha. Afterwards, you can enjoy the lively happenings of the Puja Ceremony that starts at around 19h00pm. Spend two nights at Kandy House. Accommodation is in Deluxe Room with ensuite facilities. Your stay is on bed and breakfast basis. Today, you will be driven to Peradeniya to discover the area’s spectacular Royal Botanical Garden. The garden is renowned for its collection of orchids and include more than 4 000 species of plants. Attached to the garden is the National Herbarium. In the evening you will be treated to a vibrant performance of Kandyan dancing. Today, after a delicious breakfast, you will be driven to Colombo where, along the way, you will have the opportunity to visit the Elephant Orphanage at Pinnawela. The best time to visit is between 9h15 to 9h30am and 13h15 to 13h30pm, when the elephants are being fed and then later bathed from 10h00am to 12h00 (noon) and 14h00pm to 16h00pm. Spend one night at Tintagel. Accommodation is in a Superior Suite with lovely ensuite facilities. Your stay is on bed and breakfast basis. Today you will be driven to the airport for your connecting flight to Male. The Maldives is an idyllic ring of islands famous for its white sandy beaches, turquoise water and sunshine. Perfect for a romantic getaway or spending time with your friends and family, you will have the opportunity to fill your days with spa treatments, scuba diving, snorkelling or just relaxing by the lagoon. Upon your arrival you will be warmly welcomed for your transfer to Cocoa Island by Como. Cocoa Island by Como is an intimate Maldives resort with 33 spectacular overwater suites - allowing you to slip right into the turquoise lagoon to explore an exceptional house reef. Encircled with powder white sand, the carefree, understated luxury experience includes holistic wellness treatments at COMO Shambhala Retreat, South Indian-influenced cuisine and world-class diving. Spend three nights at Cocoa Island by Como. Accommodation is in a Dhoni Suite or one bedroom Villa with ensuite facilities. Your stay is on bed and breakfast basis. For the next two days you will have the opportunity to indulge in your spectacular surrounds. Explore the vibrant house reef on a snorkelling or scuba diving adventure, tuck into mouth-watering menus and unwind with excellent spa treatments. Today, we wave a fond farewell as you enjoy the last boat trip back to Male Airport for your flight home. •	Perfect for Families, first time travellers, cultural and photographic enthusiasts and couples. •	WildlifeToque Macaques, elephant and marine life. •	Don't Leave withoutWalk around the Temples at Pollonaruwa with a researcher, observing the troops of Monkeys. Cooking Classes at Vil Uyana Resort at Sigirya. Deep sea diving or snorkeling in the Maldives. •	Travelling with ChildrenThis adventure is suitable for children as many of the activities can be adapted to ensure that they have a fun-filled stay. This tour has a host of activities that will keep you enthralled during your stay. •	Accommodation is a based on double / twin occupancy in the hotels specified. •	All road transfers mentioned will be in a private vehicle. •	The sightseeing tour will be provided as per the itinerary with an English speaking guide and in a private vehicle. •	All entrance and monuments fees. •	All current taxes as on date – subject to change as per hotel/airline/government policy. •	Airfare as mentioned in the itinerary quote above. •	The rates quoted are subject to change without prior warning, should there be any increases in park fees, fuel, sales tax or VAT, third party services, or any other circumstances beyond our control in the regions featured in this quote/booking. •	All guests must take out comprehensive travel insurance covering them for personal effects, personal accident, medical and emergency travel expenses, cancellation and curtailment. •	In order to comply with international insurance requirements all airline tickets must clearly show the passenger’s title, surname, name and initial (as indicated in their passport). As this applies to both scheduled and charter flights we would be grateful if you could provide us with this information at the time of confirmation. •	Your internal flights have been organized by us. While we take the maximum care to ensure a safe and comfortable journey for you XLV South Asia is not responsible for the fitness of the carriers or the safety standards of the carrier company. •	In order to comply with International Insurance requirements XLV South Asia can only reserve seats, be it on a provisional or confirmed basis, on both domestic/scheduled or charter flights. •	Please note that fares may increase between time of booking, time of payment and the ticket being issued. Any costs incurred due to amendments will not be borne by XLV South Asia. •	XLV South Asia cannot be held responsible should airlines discontinue flights on certain routings or change scheduled timetables, resulting in missed connections etc. Should an amendment in a routing or itinerary be necessary we will re-quote you accordingly. •	Gratuities: Tipping is at your discretion. However management of the establishment will be able to assist with guidelines.